Remodeling - RJ Kuhn, Inc. Your kitchen should be a comfortable place in your house to spend time with family and friends. RJ Kuhn can help you if you just want to replace a few things in your kitchen, or if you want to completely remodel the room. We can provide cabinets, countertops, bars, faucets and a whole lot more that will help your kitchen to be a great room in your home. You spend a lot of time at home or in the office, so whatever you do to enhance or add to your surroundings calls for the greatest skill and care. You want it to be just right. RJ Kuhn provides both part-specific and start-to-finish remodeling. We are also a main resource for walk-in tubs, roll-in showers, and ADA handicap-accessible fixtures and design ideas for in-home care. 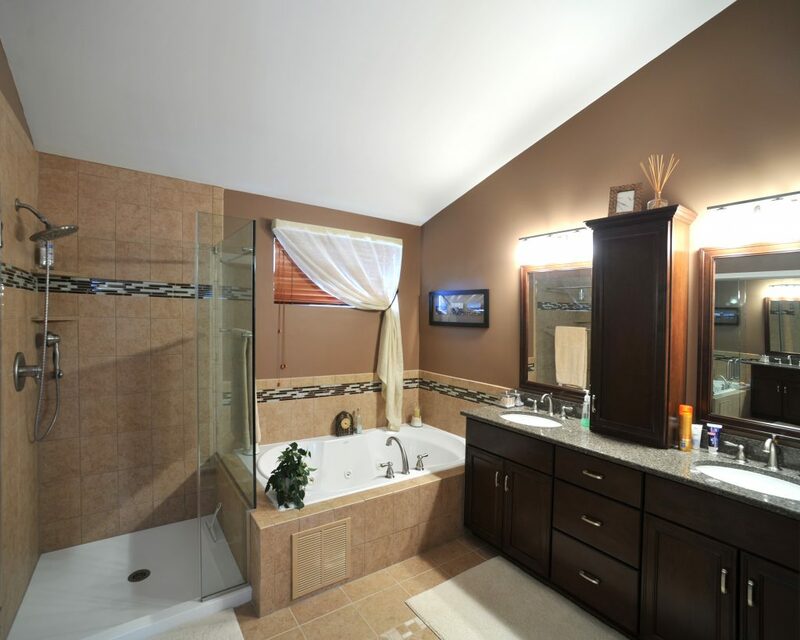 We can help you with ideas for remodeling basement bathrooms and laundry rooms. Sometimes we need a little help to make our homes and offices a little easier to get around. RJ Kuhn can help you with your remodeling needs so your home or office is ADA Compliant, or is just a little more accessible for you and those you care about. 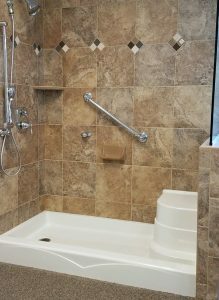 We provide and install roll-in showers, walk-in tubs and ADA handicap-accessible fixtures and design ideas for your home and office. Contact us at 1-800-FIX-DRIP or (630) 554-3336 to discuss the remodeling you’ve been thinking about for your home or business. You can also visit our showroom 7am–4:30pm for remodeling ideas that inspire. Stop by anytime!